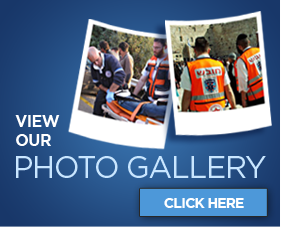 United Hatzalah needs to equip its current volunteer corps with more ambucycles. Because seconds count, United Hatzalah established the “Ambucycle Unit” to expedite the arrival of medics to emergency incidents. The use of ambucycles for first response has proven to be a critical link in the emergency chain of survival, allowing rescue personnel immediate access to the scene or home of a patient. The response time of an ambucycle medic averages 90 seconds due to the ability to avoid traffic congestion, road closures, debris, and parking issues. Each ambucycle storage box contains advanced lifesaving equipment sized to fit the unique operational requirements and configuration limitations of an ambucycle. In addition to the complete trauma kit, the box contains a specialized oxygen canister, blood sugar monitor and defibrillator. Each ambucycle responds to approximately 40 calls per month, roughly 480 calls a year. About 25% of all calls (120 annually) are deemed critical lifesaving situations. Each ambucycle is on the road responding to emergencies for at least three years and therefore will respond to around 1,440 calls, and will save 360 lives. 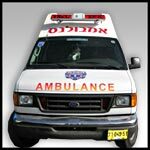 United Hatzalah needs to expand the existing fleet to 500 in order to meet the demands in heavily populated and dense cities like Jerusalem and Tel Aviv. These lifesaving vehicles, including all required medical equipment, maintenance, and insurance cost $36,000.